All my favorite countries claim these colors as their own. I may be French-American, but I call England my second home. Don't forget to enter my Spring Giveaway ! You look so amazing in trousers with your cut haircut! I love the classic looks you come up with! Hi there! 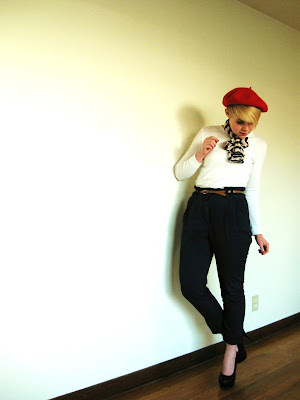 Found your blog on lookbook! 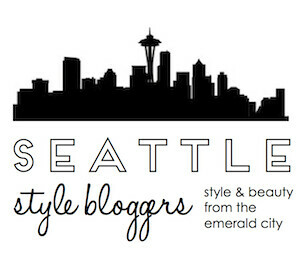 Love your style : ) Come check out my blog when you have a chance and maybe we can follow each other? I love this so much! The striped scarf is my favourite part, and the pants and beret suit you so well! Love this outfit! Tres magnifique!! I found your blog via Crimson Rosella and I love your style! This outfit is fantastic! !